I have been asked (occasionally by myself) why I endlessly try out new recipes, spend half my time in the kitchen and write this blog. There are several reason but the fundamental ones remain the same. For the first I refer you to the About page above. It describes how as life changes so what we need from our kitchen and cookbooks also changes. From supper parties for my London crowd, through feeding my babies/children and on to now – still cooking for my family (honestly my raison d’etre) but also cooking up a storm for friends and their children which I love to do. 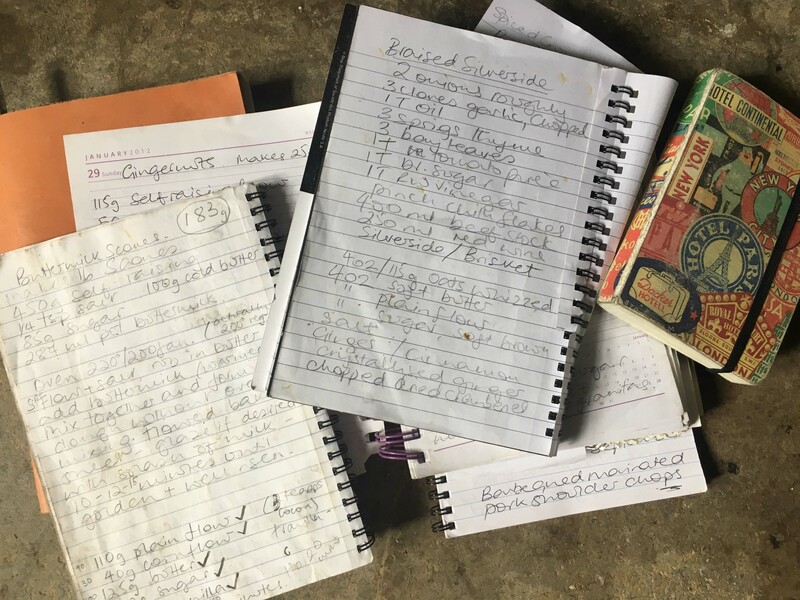 I needed recipes for all these situations and despite a mountain of cookbooks there were recipes missing so I decided to come up with my own. That I was then the first to offer a suggestion when friends asked for ideas on what to cook for tea/lunch/supper/dinner etc prompted them to ask me to put them all in writing somewhere. Also, I have never been keen on “kids” food and was (possibly blindly) determined that my babes would, as soon as practical, eat the same as us. Partly because from an early age they would eye what we were eating with far more enthusiasm than their pureed veg so it made sense to give them a taste from our plates, encouraging their palates to happily experience new flavours. Also for ease. I want us to sit around a table together every day laughing, chatting, shouting, arguing (the latter two in a good way obviously) but primarily eating the same thing. My experience has shown that giving into demands for the same food on a loop causes problems when the customer is presented with something new or unfamiliar…. Anyway, this is how I try and do it – not without its problems of course. Whilst my daughter will eat anything (but ideally meat and potatoes) my son is a little more particular (his ideal being hummus and tomatoes). It drives me a slightly mad but I continue in my merry way, put a variety of things (old and new) on the table and hope for the best. The point is food is such a fabulous part of life and I would like my children to try everything*, have a healthy and happy approach to food and also to be able to cook, to feed themselves when the time comes. One more reason springs to mind. In the picture above you see some of the collection of books in which I write my recipes. Scribbled as I cook, endlessly splattered with food, marked by crossings out and additions. Some dishes never make it beyond these pages but many are eaten on a regular basis in our house. So I had some dreamy idea of handing over the fabled book of recipes to each of my children when the dreaded day comes that they leave home. Handing it over like the baton of life. Huh, said another voice in my head, what if neither of them wants it and hands it back to you, you’ll feel a right fool. Thus the obvious answer was to put it all onto a blog, this way they could dip into it whenever they pleased, cook things they love and have grown up eating but I would never know if they didn’t…. *This has backfired on me, in my quest that nothing is off limits, to be open minded and everything deserves a taste I have had to buy both pot noodles and pop tarts. Once.